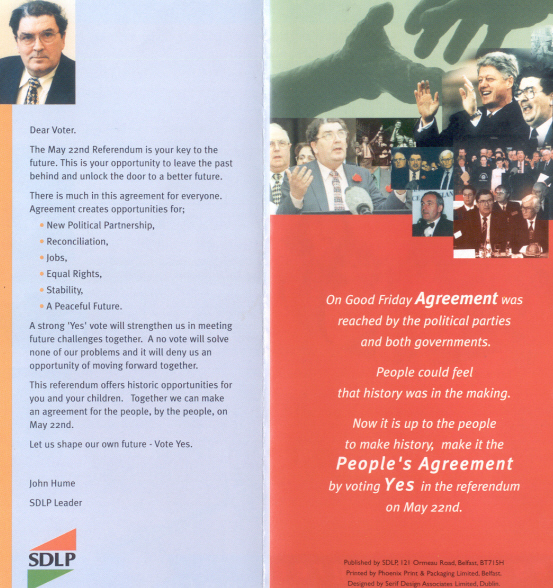 From the 1998 Good Friday Agreement Referendum campaign, a leaflet from the SDLP asking for a Yes vote. A happy looking family on a merry go round (was there some significance in the choice of a merry go round?) with a message from John Hume and other key points.